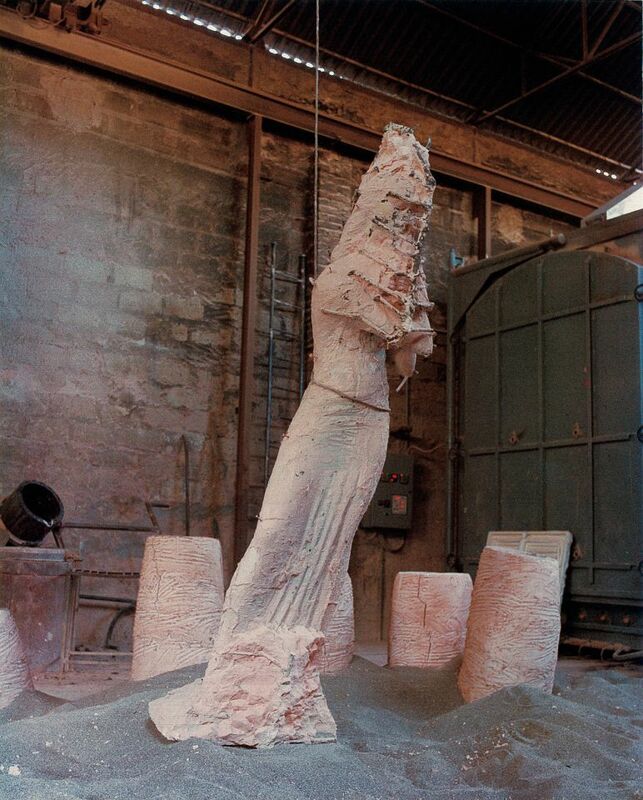 When everything – refractory and metal – has definitely cooled off, the next phase is the opening of the refractory investment: in other words, the breaking of the ‘mold’ and the removal of all refractory waste of the sculpture both inside (an extremely difficult operation as it has by now solidified) and outside. 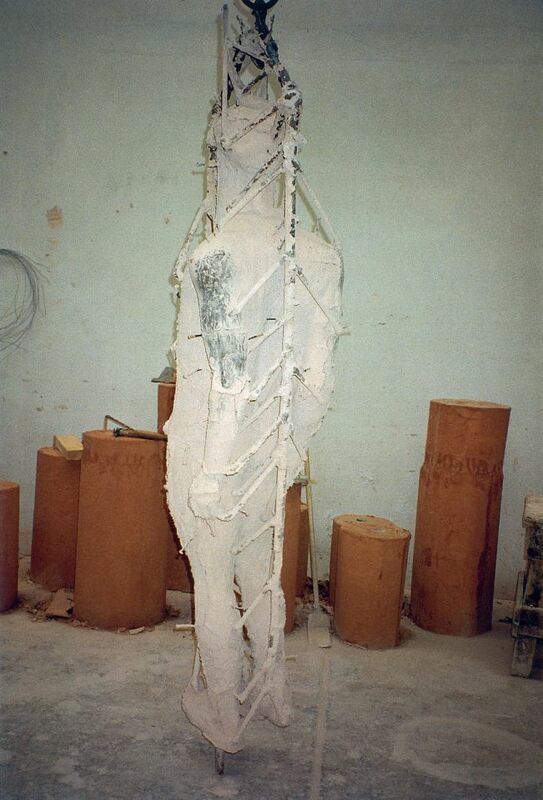 The whole sculpture appears slowly with its pourings (like bronze twigs) which have allowed for the canalization of the metal in every crack and hole of the matrix. Rough casting, in other words, still with the pourings, of a work of art by Giuliano Vangi.